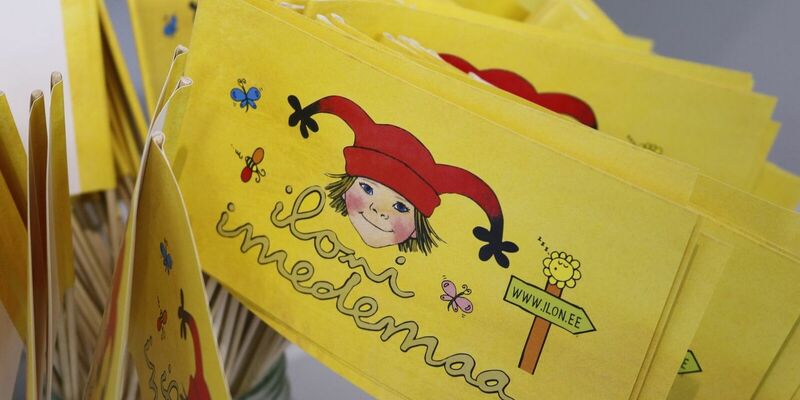 There are many destinations for both big and small Astrid Lindgren fans. 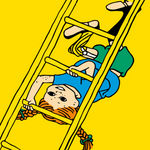 In some you’ll be able to immerse yourselves in Astrid’s stories and meet the characters from her books and films - and in others you’ll be able to learn more about Astrid Lindgren’s life and work. 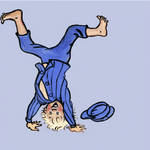 Astrid Lindgren’s world is a place where Astrid Lindgren’s stories come to life. It is one of the most popular tourist attractions in Sweden, located in Astrid’s hometown of Vimmerby, Småland, with about 500 000 visitors every year. In Astrid Lindgren’s World you and your family become part of the classic children’s stories, and the line between story and reality, and between theatre and play, becomes blurred. The park is full of imaginative play areas, and music and singing can be heard from the many stages throughout the day. 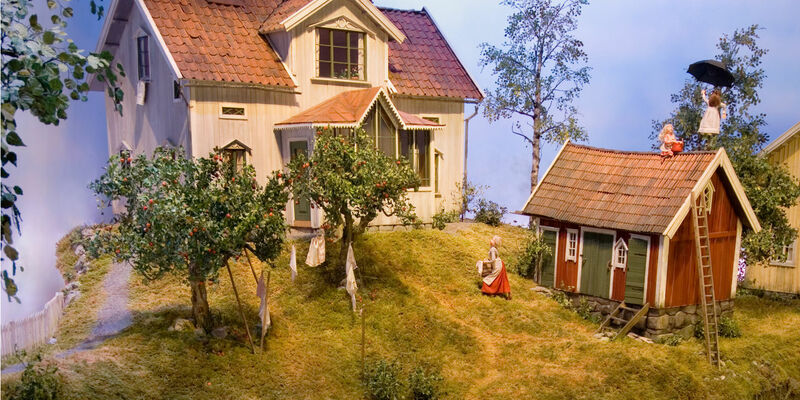 Astrid Lindgren's Näs includes Astrid Lindgren’s birthplace and childhood home, which is for open for visitors, and a pavilion which contains an extensive exhibition about the author. 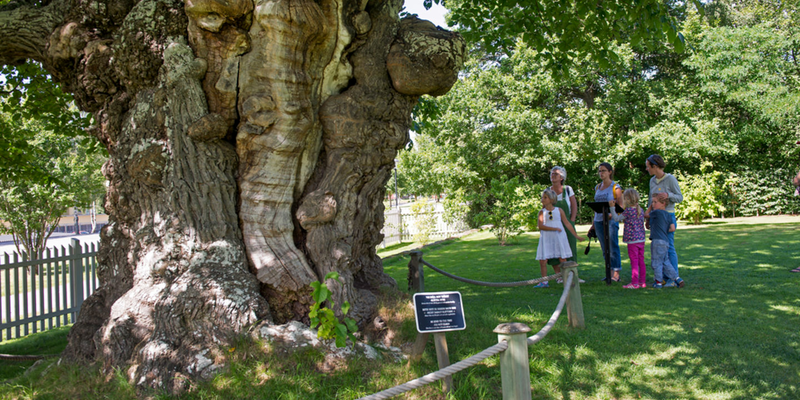 In the old rectory, you can discover temporary exhibitions every summer. Around Astrid Lindgren’s Näs, three “chapters”, areas, of gardens have developed, the last chapter opening in 2016. The gardens at Astrid Lindgren’s Näs are open gardens – places of culture, conversation, fun, debate, play, seriousness and humour. 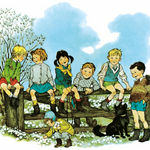 The green settings have grown out of themes that were important to Astrid Lindgren throughout her authorship, such as freedom, courage, melancholy and joy. This is where timeless classic stories but also countless letters and articles were written. Since November 2015 the apartment is open to the public through pre-booked guided tours. 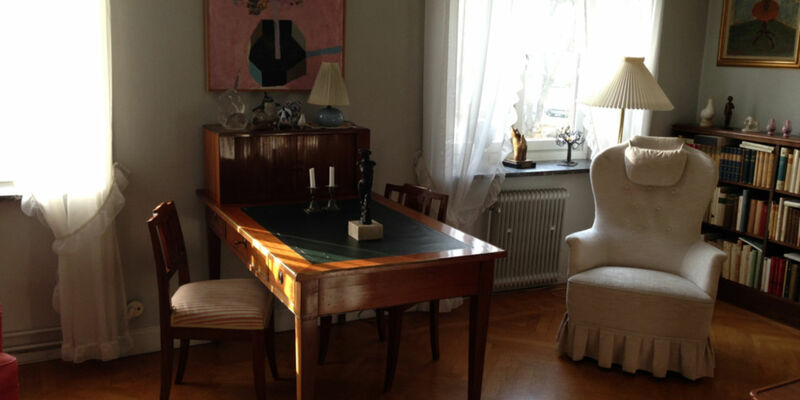 Dalagatan 46 in Stockholm is where the worldfamous author lived and worked from 1941 until her death in 2002. This is where timeless classic stories but also countless letters and articles were written. The apartment remains exactly as it was when she was alive. 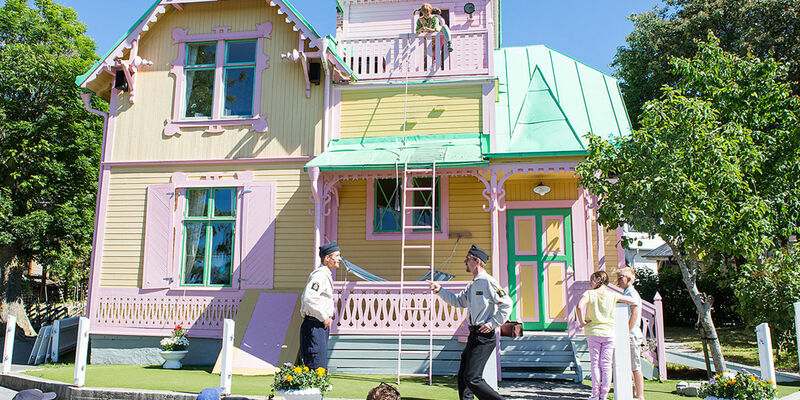 Junibacken is a children’s cultural centre with books at its heart. The first time Astrid Lindgren heard about the project she thought it was a nice idea and all that, but she didn’t want to have anything to do with any kind of “Astrid Lindgren’s house”. 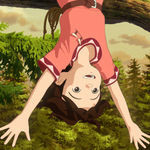 A place where other authors of children’s books and illustrators could be showcased and could inspire others, however, that was something else – that was fine. And that is how it turned out. Ilon’s Wonderland is a gallery and theme centre for children and families based on the works of the world-famous illustrator of children’s books – Ilon Wikland. It is located in Haapsalu, Estonia. In the Kneippbyn resort in Gotland you can visit Villa Villekulla, the very house that was used when the TV series and the films about Pippi Longstocking were recorded. 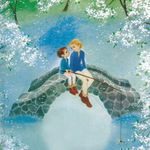 During the summer plays about Pippi are also performed. 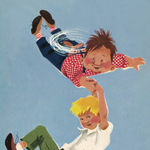 Step into the world of film via a magical exhibition, created in the spirit of Astrid Lindgren. You’ll see classical film clips, original props and get to sing along with movie music. Nearby, you’ll find some of the filming locations, such as Katthult and Bullerby.